The Diamond Series plate and frame laboratory filter is designed for use in critical applications where hold-up volumes can be costly. Historically, plate and frame filter technology has required that upon completion of the production cycle, up to 90% of the liquid remaining in the filter needs to be reprocessed or discarded. The Diamond Series eliminates this obstacle entirely. Maximum yield of viable liquid is now possible. Available in 4 inch, 8 inch, or 12 inch designs, Diamond Series plate and frame laboratory filter is internally ported and eliminate the need for gaskets entirely. 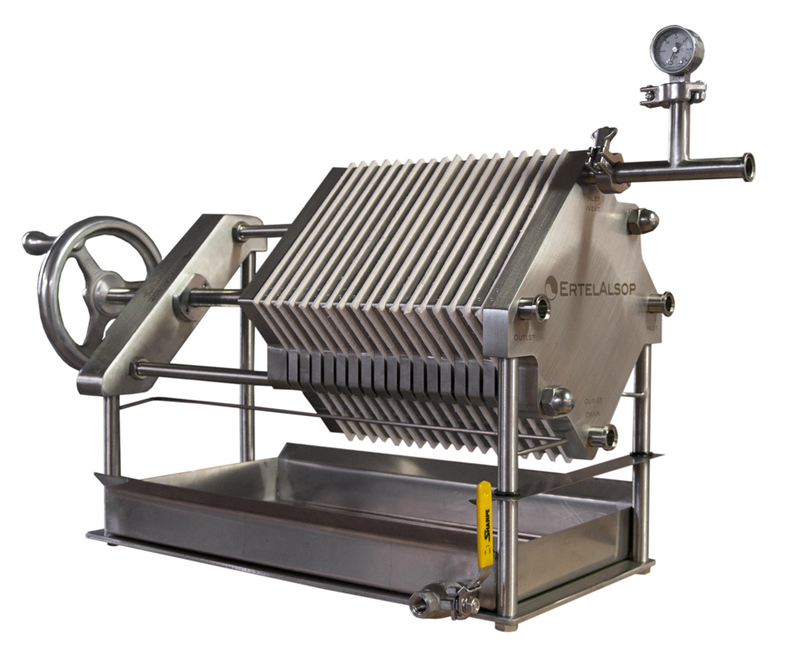 The Diamond Series, in conjunction with ErtelAlsop’s patented BioClean Filter Plate technology, allows for effective cleaning and sterilization of every liquid contact surface. Our standard Validation Package, along with optional 20 Ra surface finish makes this the easiest filter in the world to validate.